This article was written by Ryan Posthumous. On Friday, March 29, 2019, the previously unthinkable could have happened: the United Kingdom, a pillar of European society since its inception and a massive economic hub of activity, would have left one of the largest multinational organization in the World, the European Union. Now, just a week away from the deadline, the European Union has granted the UK a reprieve in deciding whether or not to separate from the European Union until at least the 12th of April. As the clock ticks down towards this divorce, the British Parliament is left with a decision that could shape their society and economy for generations to come – whether to agree to a formal deal which would allow for the maintenance of some formal economic activity between Great Britain and the EU in the foreseeable future or to venture out into the deep waters of the international economy blind and without a deal. The stakes have never been higher for the British economy, and yet, in the face of this event horizon, little progress towards a serviceable agreement has been made by the tenants of the Palace of Westminster. No matter the indecisiveness, rest assured the likelihood of a No-Deal Brexit is very low – or at least it should be. The current state of affairs regarding Brexit is constantly evolving. There is no single definitive answer to what the correct or even the most feasible path forward might be, and there has been no shortage of vocal support for revoking Article 50 (which activated the UK’s exit from the EU). 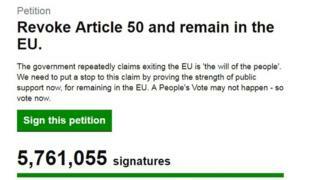 In fact, as of March 27, a petition created on the official website of Parliament titled “Revoke Article 50 and remain in the EU” has garnered approximately 5.7 million signatures, breaking the previous record of 4 million. Although Theresa May has repeatedly refused to revoke Article 50 as she believes doing so would be seen as a “failure of democracy,” such strong public support for the petition indicates that following through on Brexit may not be the will of the people as of the present, with nearly 2,000 signatures pouring in per minute. As the number of signatures continues to climb, May will surely face more pressure to consider this very controversial choice as an option for future debate and action. Only time will tell. Perhaps the most critical article of contention hanging over the talking heads of Westminster and Downing Street is the extension of the deadline for the Brexit decision beyond March 29. In wake of PM May’s multiple overtures to the EU for an extended deadline, a decision for an extension has taken shape. 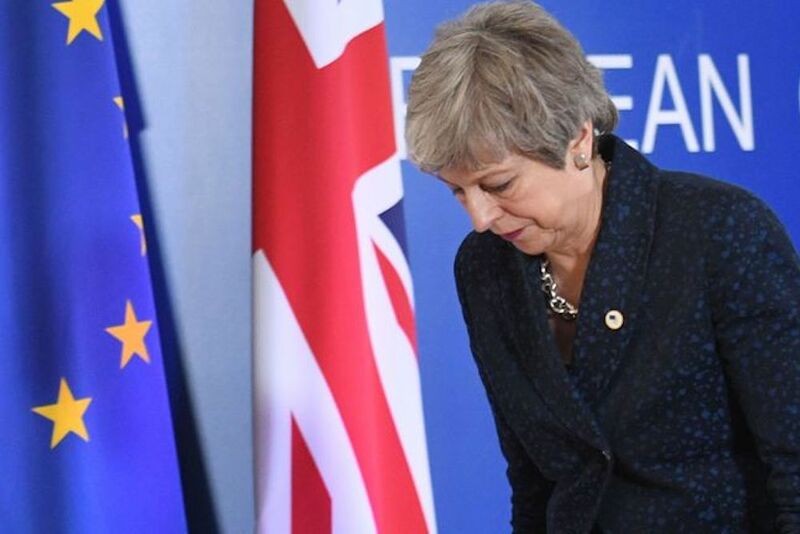 Though her immediate request for a three-month extension was ultimately denied, the European Union and European Commission did agree to the following stipulations: should May and Parliament agree to a deal during the week of March 25, the date of withdrawal will be pushed back to May 22. However, should the governing body fail to reach an accord next week, the date will be an abrupt April 19. With May’s past two deals presented before Parliament utterly demolished, the pressure on both sides of the debate has never been higher. Yet despite this dichotomy of leave or stay, deal or no deal, along with the rapid speed with which the deadline approaches, there is much to suggest that some form of a deal will be brokered. The economic implications that a complete breakage would have on British society is at the crux of this issue. Simply put, a no-deal Brexit would be catastrophic for the British economy. Consider this: Since the referendum, Brexit has already seen Britain’s economy, in the most recent calculation by the Centre for European Reform in September 2018, become 2.3% smaller, with losses totaling to “£17 billion per annum – or £320 million a week.” And Brexit hasn’t even happened yet – those numbers are only going to rise. According to a recent study by Bertelsmann Stiftung, with a “hard” no-deal Brexit, the United Kingdom will experience an expected 57 billion euros (approximately £49.38 billion) in lost income per year. Not only will the UK experience a hit with this “no-deal” anvil, but the EU countries will also lose an estimated 40 billion euros (approximately £34.65 billion) in lost income per year. Though the financial losses would still be massive with a soft-Brexit, they would be significantly lower. In fact, the losses to the UK would only be about 32 billion euros (£27.7 billion), a blistering £21.6 billion less than a “no-deal” Brexit. Similarly, the EU would also lose less income per annum with a soft-Brexit, with the new losses totaling only £19.1 billion, a decrease of £8.6 billion. When considering just the numbers alone, a soft-Brexit is the only acceptable option of the two, the lesser of the two evils, so-to-speak. In the end, as English Actor Hugh Grant said, “Brexit was a fantastic example of a nation shooting itself full in the face.” Economically speaking, there is no logical justification to the decision to invoke Article 50, and as studies have shown, the consequences, deal or no-deal, will be devastating and felt for generations to come. There still is hope that Parliament heeds the voice of the people; a people who have learned from their mistakes, see the precipice fast approaching, and have the desire to make things right. The only problem is that time is running out.